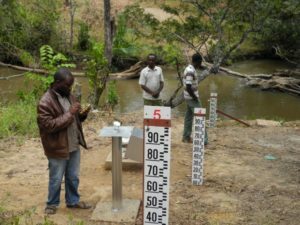 A hydrological study has been elaborated for the potential hydropower site of Lingatunda (estimated potential of about 2.48 MW). The hydrological study at that time was mainly based on water level measurements during the period Jan 2013 – Jan 2014 and a number of 19 flow measurements. Since that time, manual readings (two times per day) have been pursued more or less continuously so that today about 3.5 years can be evaluated and the hydrological study can be updated. Services provided by Skat: in-depth hydrological analysis based on available hydrological data, own comprehensive data evaluation, including duration curves, residual / environmental flow, flood flow analysis as a basis to update the feasibility study for Lingatunda. Activities: Entering remaining 6 months of data and checking data for consistency; transforming water level data into flow data (based on existing rating curve); establishment of the flow duration curves for each year and of a mean flow duration curve; new calculation of average monthly flows, runoff coefficient and residual flow; update of the respective chapters in the hydrological study (based on new figures); formulation of respective recommendations. Results: reliable hydrological study with risk assessment and determination of environmental flow as a sound basis for the planning and detailed design of the hydropower system of Lingatunda.